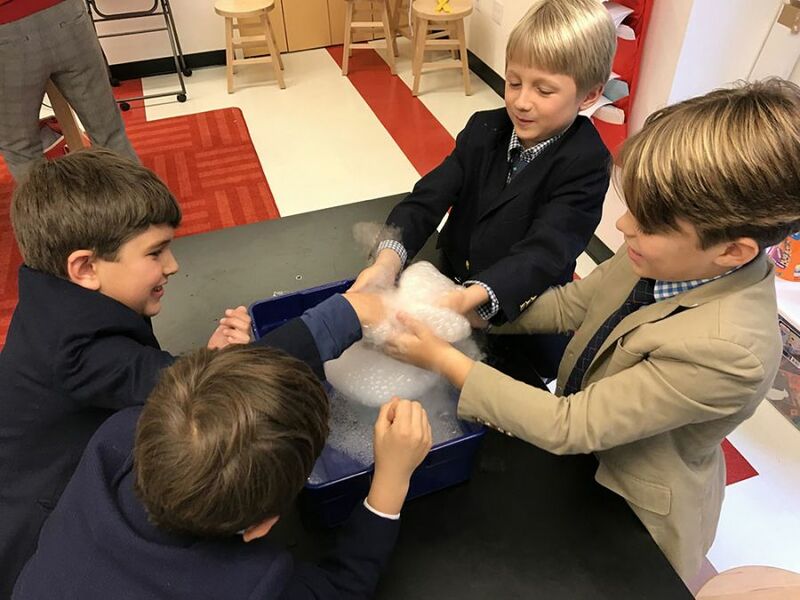 During their study of molecules and matter, second graders learn about the three states of matter. In a related lab, they observe dry ice transition directly from solid to gas through sublimation. Second graders are in the midst of the Trades, Jumps and Stops math investigation.